Go behind the fence at CN 2747, the Transcona Museum’s largest artifact on permanent outdoor display. Chat with our dedicated CN 2747 volunteer team and learn the work involved in preserving a historic steam locomotive. There will also be a fundraising BBQ, from 12:30pm-2:30pm, in support of the SAVE 2747 Campaign, with funds raised going towards the ongoing preservation of the locomotive. Please note that while visitors will be unable to enter the engine and tender, photographs with CN 2747 are encouraged. 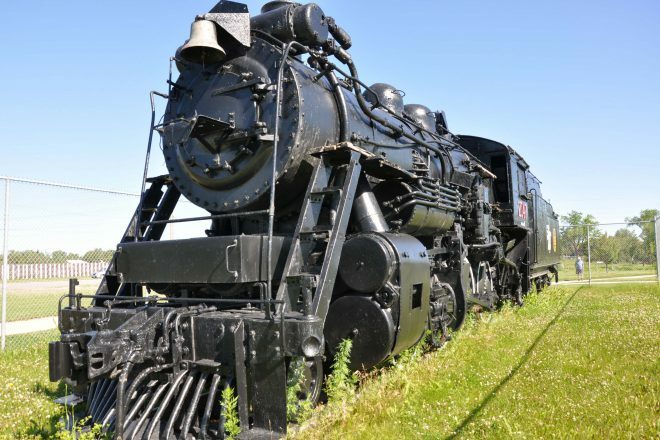 Locomotive is located in Rotary Heritage Park along Plessis Road, North of Kildare Avenue West.